On a foggy December morning I drove across New Delhi to a small town in neighbouring Haryana called Sonepat. 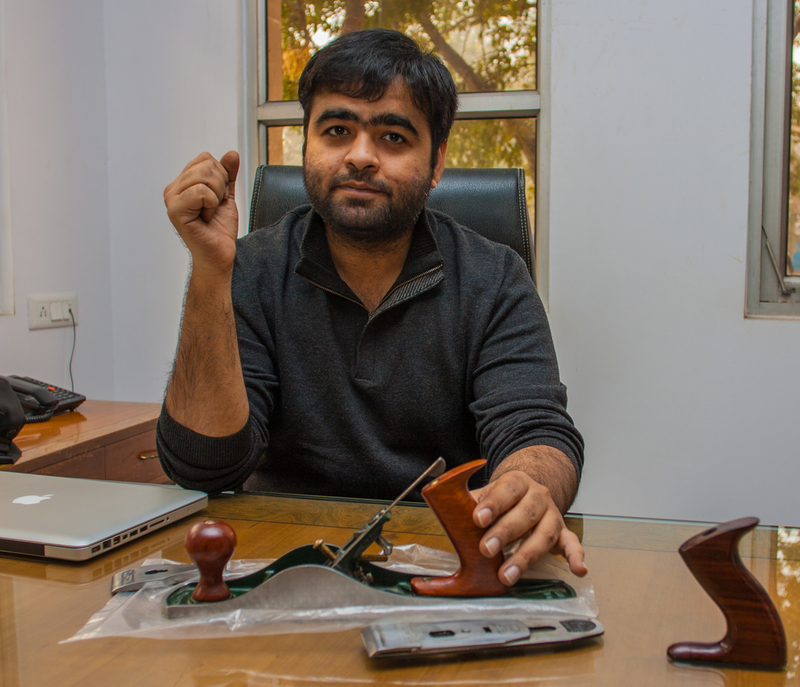 There, at a little distance off the national highway, amidst wheat fields, stood a cluster of buildings which housed the makers of India's premium hand planes and other hand tools, Shobha Industries. I had come a long way looking for woodworking goodies, particularly hand planes, and I was not disappointed. This was my equivalent of a toy factory, stuffed as it was with hundreds of planes of every description and workers patiently churning out even more of them. There was an enormous warehouse where planes, measuring instruments, vices and all kinds of tools were being tested and packed. The most fascinating part was the opportunity to closely observe the process of plane making, from casting to polishing and packing. This was something I had wanted to do for a long time and it was made possible by the factory's young proprietor-manager, Agnay Chuttani, who had finally acceded to my request for a factory visit. I found him courteous and soft spoken as he showed me around the factory, introducing me to rows upon rows of grinding machines, tapping presses, CNC machines, buffers and all manners of engineering contraptions each running quietly and intently at its prescribed task supervised by a uniformed worker. The Shobha factory, from what I could make out, comprises three very large two-storied buildings and a smaller shed for castings. The Sonepat factory was set up twenty years ago by Agnay's father, Rajiv Chuttani, and it just grew bigger and bigger over the years as they found it necessary to create in-house processes for many tasks that were initially out sourced. Agnay maintained it was necessary to maintain control over key processes in order to ensure quality and constantly improve their products. For instance, in the initial years they had approached a well-known planes blade maker in Punjab for their blades but were forced to develop processes for making high quality blades themselves when the Punjab blade maker insisted on retaining his own branding. This allowed then to experiment with various grades of steel, tempering processes and so on. It also compelled them to set up grinding machines to cut and hone the blade bevels to a fine edge. 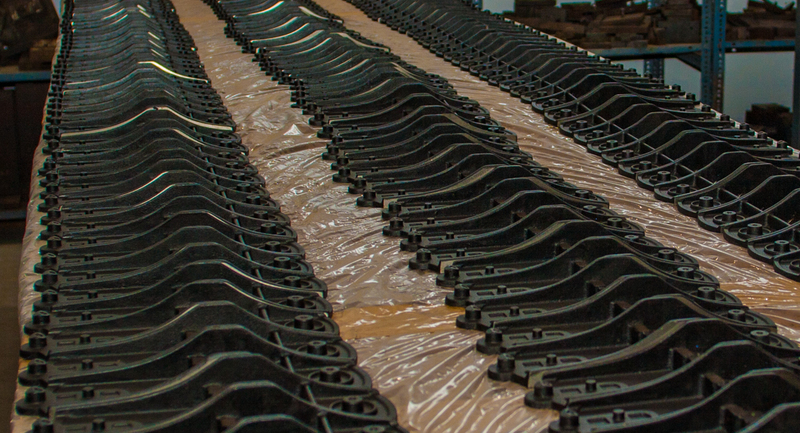 Castings too which were initially out-sourced eventually became necessary in-house because they found the quality extremely variable. Today, Agnay said, he could maintain the quality by adding just the right amounts of additives to the steel let the castings sit for a couple of months for natural de-stressing. Agnay, who has an engineering degree and an eye for detail, seems to enjoy his work. He loves his tools, particularly his hand planes and has a collection of some of the best planes from around the world. The day I visited, he was admiring an old Clifton plane he had bought from the UK. It was a superb specimen, several years old but maintained in top condition. "Take a look at this", he said pushing the Clifton towards me. "What first class machining", he remarked admiringly. He was particularly impressed with its two-part, detachable cap iron. The blade could be sharpened without un-screwing the cap iron. I found the Clifton blade as sharp as the day it was made. "It is the small details that count", he said, recounting his attempts to make small but continuous improvements to his products. He showed me how he had changed the knurling on the brass adjustor on Shobha planes to make them look better and turn easily. 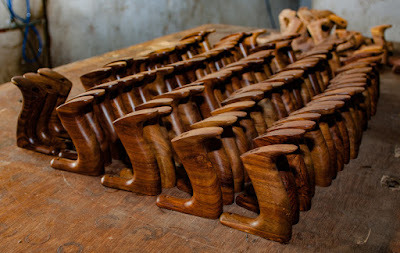 Other changes to Shobha planes include the precise machining of the frog, introduction of very hard washers for the two screws holding down the frog, changing the shape of the tote, moving to Sheesham as their signature wood, more brass parts for the premium range, a shift to powder coating on all their products and constant attempts to improve the quality of machining. These small but incremental changes, Agnay believes, is what will ultimately make their hand tools absolute top notch. As it is they are easily the best regarded hand planes and tool makers in India with the bulk of their clients in Europe and North America. Another area that seems to require constant attention and innovation is in the manufacturing process, the machines and systems. One innovation Agnay is proud of is a CNC controlled router exclusively designed for shaping the Sheesham totes of their regular bench planes. I was also surprised to discover the amount of painstaking grinding that goes into the making of a plane. 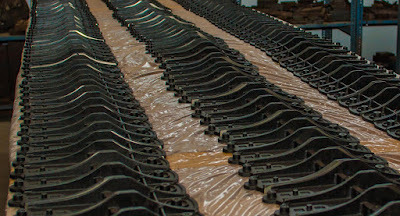 The soles, sides and bedding points have to be milled very precisely, the blades and cap iron ground one piece at a time and so on. All this involves a considerable amount of labour. As I was packing to leave, Agnay directed me to their packing and testing unit. Here workers were packing tools and stashing the packages on pallets for export. At one corner of this building was a glass partitioned area with a number of granite and lapped cast iron flat surfaces where workers were testing various vices and other instruments. In another area, two laser scribing machines were busy etching numbers on precision vices, chucks and rotary tables. Agnay unveiled a new hand plane, which was a version of the Stanley No. 62 low angle Jack Plane. He said they had just started this line of planes and would be happy to gift one of them to me. I of course was delighted with the parting gift and more so because he had my name laser etched on it. A great way to end a great tour, I thought, as I drove away. Very informative post Indranil. The pictures looks very good. Had a few questions though. Some of the planes seem to have a brass lever cap. Is it their standard offering or some premium model? Also, in the last picture on the post, bunch of Block planes are seen, which also look like they are made of brass(Please correct me if I am wrong). I mailed the sobha folks asking about it and they just want the Order Number for me to get the price or any information:). Any information on this will be appreciated. From what I could make out they have a premium range which is only for export. The brass lever caps and so on are fitted on those planes which are sold at a significantly higher price. There are a number of brass block planes the difference chiefly being at the different bedding angle of the blades; again these are mainly for export. Agnay told me that there is a lady called Preeti at their head office who takes orders. You should specify that you want the planes with the brass lever caps; they should be able to quote you a price. The factory apparently does not deal in sales or marketing. Following is the message from her when I asked for the Block Planes:) Anyways, I will call her and speak to her. "Kindly give me ordering no. from packing box which seen in picture. Then I will give you quotation. Clearly the lady is not terribly clued up! Congratulations on your visit to tool Disney land, it's great news that no 62 low angle jack is getting introduced,as you pointed out their in house process have improved the quality tremendous, the new blades on the planes are superb, thanks for sharing your visit. Thanks Indranil for posting this. Sobha indeed make some the best tools in India. A picture of your gift would be a great add on in the blog :). Preeti confuses a bit on the ordering side and that's a bummer. I assume she do not get much individual direct customer like us. The brass block planes in the picture are one of a kind . I made them some years back while trying out different casting and machining processes . Those I don't sell , have kept them for display purpose / personal use only . Good information about hand planes. Sobha produce quality tools but not easily available online . My name is Anand and I have been a hobbyist woodworker for the better of 10 years now. I hail from Chennai and my regular job is in the realm of 3d animation and copy writing. And in the time that I get away from my job I am always found going at my woodworking with great gusto. Of late I too was the proud recipient of a package from Shobha containing a fret saw, a spare set of blades for the saw, a brass bull nosed hobby plane and a spare blade, a marking gauge and a much anticipated round soled spoke shave. Having received the goods I found them to be packaged well and was a bit surprised to see that items like the fret saw that normally would bend in transport, had arrived in good condition too. The goods were of good quality and I have verified that their workings are exceptional as well. I found the blades to be pre-sharpened which saved me the laborious task of honing them at the stones. I have been following your blog and articles for a while and I thought I must give credit where its due. So here I am writing a comment in your blog, a testimonial if you please for Shobha Industries. Delighted to discover another kindred soul! Yes, I too have found Shobha products a notch above anything else available in India. Some of us alas cannot ever get around the lure of woodworking toys - I am looking forward to getting a router plane and a few other items as well. Best of luck. I am getting slightly irritated with the kind of response I am getting over email although Preeti had helped me get one order successfully delivered. Do you by any chance have any other email id who could take things more seriously if Preeti doesn't help. I tried kanika but she doesn't seems to help much. I don't represent the company. You will have to check with them. Fantastic Indranil. Great opportunity you had. Hope I will visit such factory one day.. There are very few bloggers writing on such subjects as planes and carpentry tools. Recently I got interested in woodworking and to my amazement there are thousands of videos on YouTube but sadly none from india. I have been raking through various e-sellers for carpentry tools but good ones are so highly priced. I came across your company and I was delighted to see Shobha industries products but amazon is selling them on 25% higher price than quoted one on your website... How do I buy from you directly. Contact them directly through their website: http://www.shobha-india.com/wood-working-tools.html Check out their email and/or telephone numbers.